The Warrior story goes back to 1982 when New England members Jimmy Waldo on keyboards, bassist Gary Shea and drummer Hirsch Gardner were searching for a replacement for recently departed guitarist, John Fannon. A then unknown guitarist Vinnie Cusano was recommended by KISS’s Gene Simmons (both bands were represented at the time by manager Bill Aucoin). Cusano was a prolific songwriter, and sent some of his song ideas to the Boston based New Englanders for consideration. So impressed was the trio with Cusano’s song-writing abilities that they agreed to relocate to Los Angeles where the guitarist was based, and the band Warrior was born. 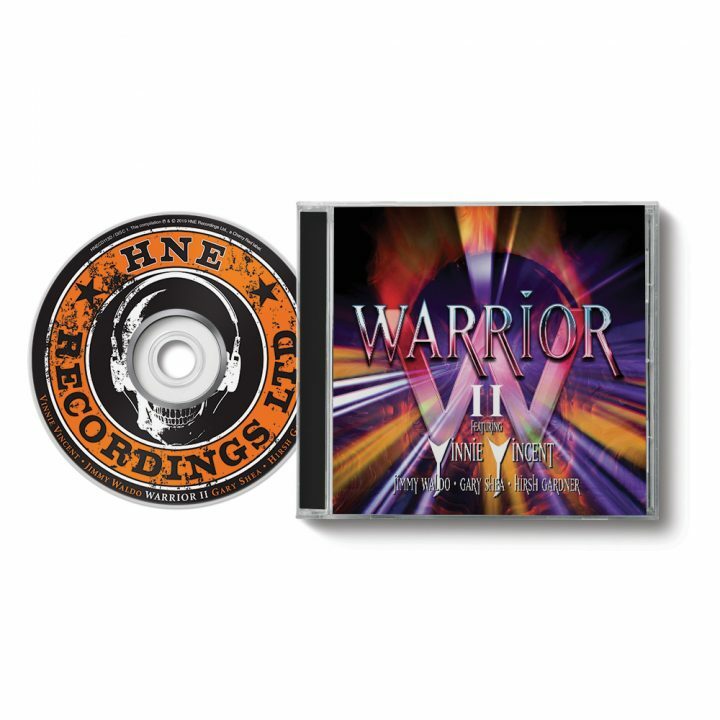 Those precious recordings gathered dust until HNE released a collection of them in 2017. Subsequently, more tapes, some of significantly better quality, have been unearthed from Gary Shea’s personal archive. Also included are a number of the demos transferred from the above mentioned cassettes.